Amanda and Leo have a history with birthdays. Now their friend’s little sister, Grace, has fallen into a strange frozen state on her birthday, and Amanda and Leo must travel in time in order to fix whatever’s wrong. As they journey back to each of Grace’s birthdays, they start seeing all sorts of patterns . . . which raise all sorts of questions. Amanda and Leo are going to have to unravel the threads of the past and present – and travel much further than they ever imagined – if they’re going to save Grace. 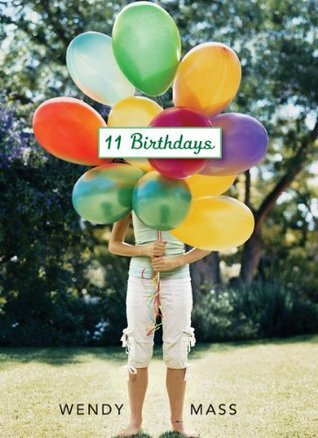 Luckily, a little birthday magic always helps in the charming and funny Willow Falls series by Wendy Mass, where everything is possible and there are no coincidences. 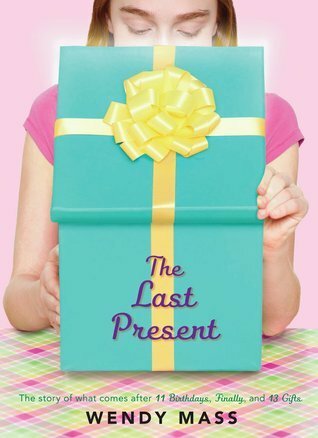 Sadly, I did not find the plot of The Last Present nearly as captivating as 11 Birthdays. I won’t be picking up books two and three. 1. There was a budding romance between the two main characters which was really cute. 2. Amanda and Leo’s looks are completely transformed every time they travel back in time. It is fun to imagine oneself experiencing this. 3. Because Amanda and Leo get to travel into the past, one year more each time, they get to see their friends younger and younger. 1. There were some storylines that did not contribute to the overall story such as a musical production and a movie production, someone’s sick father, and a romance between a teen idol and Amanda’s friend. Perhaps these storylines were leftovers from the previous books in the series? Too many characters, as already noted. However, if you read the first three books in the series you might get attached to the characters and enjoy seeing them again. 2. I found some of the characters one-dimensional, such as the gorgeous Aussie chauffeur of Leo, and the catatonic younger sister of their friend Conner. 3. Most of Amanda and Leo’s time travel in this book brings them to the past birthday parties of a friend, a setting I didn’t find too interesting. 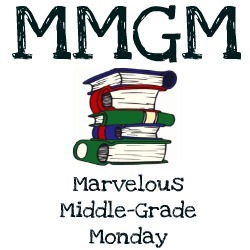 A shoutout to the other wonderful book bloggers reviewing middle grade books today. You can read their reviews by following the links at Shannon Messenger’s blog. This entry was posted in Book reviews and tagged kids' time travel stories, middle grade fiction, The LAst Present, time travel books for children, time travel stories, Wendy Mass. Bookmark the permalink. I had heard of this series and your reviews have prompted me to add them to my TBR list. What a great premise and I’m sure i won’t be disappointed. Thanks for your thorough review. I’ve read some of Mass’ other books. This sounds like an intriguing premise, but thank you for the honest take. 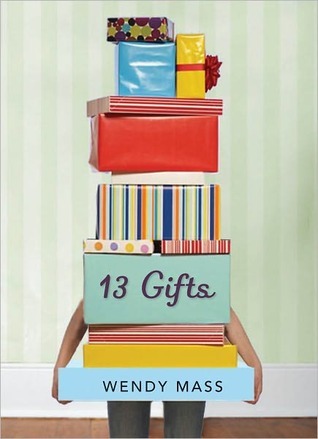 I’ve been wanting to read 11 Birthdays for some time, so I’ll probably check that out first.